Innovation when an industry is watching your every move is hard, especially so when you have to bring hundreds of partners with you so have to disclose what you are doing outside of your own business. You can either innovate in the open and hope to out execute and out market copycats – or you can show your interest in a sector, acquire the relationships you need for your larger plan (e.g. suppliers or distributors), but not show your ultimate intentions upfront. Airbnb is in this position with Airbnb Experiences. They effectively “won” alternative accommodation building their now strong position while the hotel industry was not watching (or at least not reacting). But now when it comes to launching Airbnb Experiences, everyone is paying attention, they don’t have the luxury of 1-3 years of quiet innovation until they are discovered like most startups do. As a result I believe they have chosen to mask their end-point objective for their Experiences product, creating some time for them to build up scale while competitors don’t appreciate quite what the big plan is. This blog post muses on that hypothesis (and this is just a hypothesis). On the surface they appear like they are following a regular retail marketplace strategy similar to other online travel agents such as Expedia, TripAdvisor/Viator, GetYourGuide, Klook etc. However I suggest Airbnb Experiences has a different strategy. It appears much more like a franchised supply side operation similar to how the leading global sightseeing operators trade, with each destination host supplying experiences using the global brand name. As such, they compete long term with companies that probably don’t currently see Airbnb as a threat, while some companies who have upto this point been worried by Airbnb may end up best of friends and natural partners over the longer term. There are three distinguishing factors on the supply side that make the Airbnb Experiences service stand out. In particular exclusive supply is the key differentiator that hints at their long term supply side ambitions. An Airbnb customer may only be on a multi-customer operated experience with other Airbnb customers, not shared with customers booked directly or via other retailers. i.e. you can’t have the same tour guide / date / time combination sold on Airbnb as well as another online travel agent (or you can, but as soon as you have an Airbnb customer, you must go off sale on other channels, or as soon as you have a non-Airbnb customer booked, you must go off sale on Airbnb). The exclusive supply requirement gives Airbnb a great baseline for on-trip innovation as they can make the delivery of the experience unique to Airbnb in such a way that it becomes overwhelmingly attractive vs alternatives. e.g. opportunities like how Ctrip is approaching on-trip personalisation. Airbnb model – like model 1 but with guaranteed operation and exclusive supply. This causes problems pre-scale as experiences have to run at a loss when not enough people are booking. Interesting that Airbnb chose a model that only works at scale (from a supply side perspective) when they could have gone the itinerary model that works pre-scale and at higher volumes. They must have a reason. 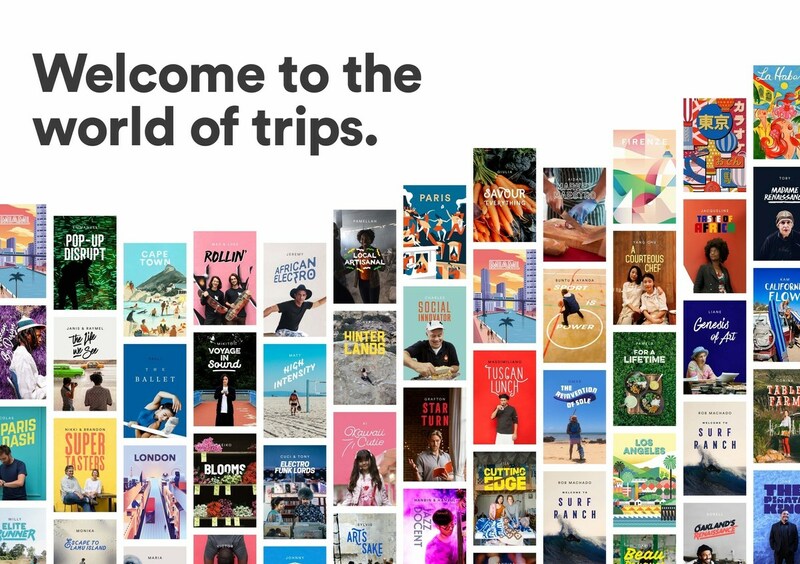 The industry expectation is that Airbnb will drop their exclusive supply model and begin to work with existing mainstream tour suppliers, just like they are beginning to work with mainstream hotel providers. This would make them like every other online travel agent retailer. However I expect Airbnb are more astute than to launch something they know doesn’t work pre-scale unless it is a fundamental part of their future plans. They also believe in differentiation so becoming just like any other online travel agent retailer seems an unlikely objective. Or I have got this all back to front, and they ultimately drop the exclusive supply model, go fully mainstream like existing online travel agent retailers and become an undifferentiated retailer…….. what do you think?